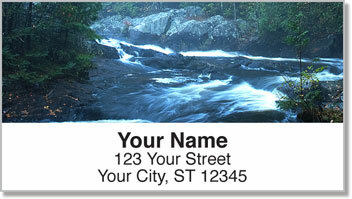 You can almost hear the sound of rushing rapids as a mighty river sends water downstream splashing against the rocks! 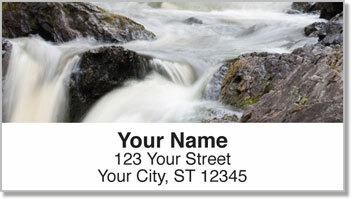 These scenic return address labels are an escape from the crowded interstate to Mother Nature's all-natural highway system. Rivers and streams flow and connect across our country all the way to the ocean. Imagine the stories you'd have to tell if you could travel them all! Lovers of the outdoors can use these convenient, self-adhesive labels to make the process of preparing outgoing mail extra easy. 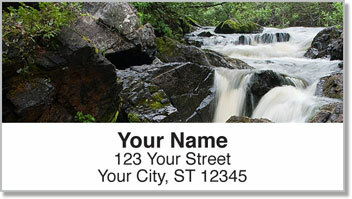 Just stick them on all your letters and packages for a fantastic finishing touch that also saves you a ton of time! 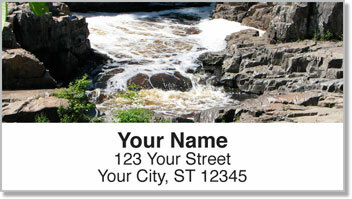 Get your very own Roaring River Address Labels today! Order them with a set of matching checks.